Are you wondering what Phil Ivey is net worth? Learn everything worth knowing about his childhood, poker career, strategies, accomplishments, winnings, losses and net worth. No one is born great at anything, but with patience, practice, and hard work, it is possible to become a master at just about anything. Phil Ivey is an example of this. Today he is commonly known as one of the most skilled professional poker players in the world. However, this wasn’t always the case. When he first started playing poker with other professional poker players, he was so bad at it that his competitors regarded him as an exceptionally easy target. All that is history now though. Now, the name of Phil Ivey is enough to demand respect and reverence among the fans, followers, and members of the gambling and casino worlds, especially poker. 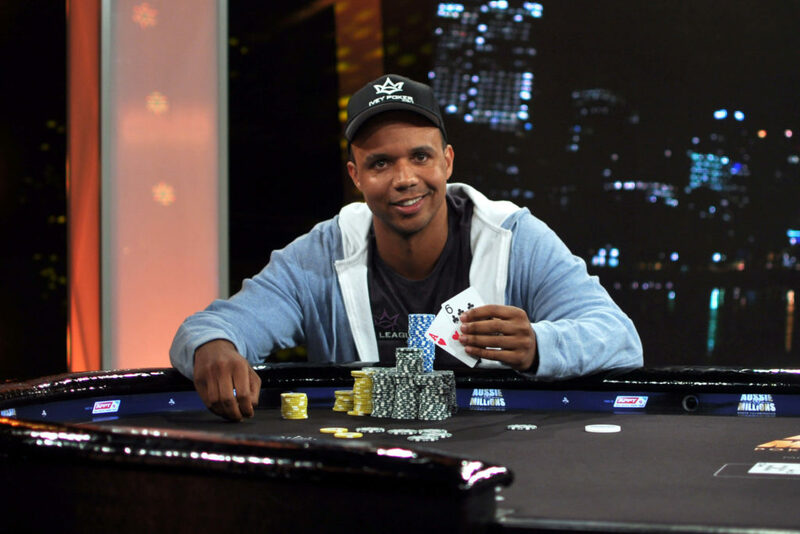 Phillip Dennis Ivey Jr., commonly known as Phil Ivey, was born in California, America in 1976. He started showing an interest in poker ever since he was a child. He would often be found with his grandfather, observing as the older man played poker. At the young age of 8, Phil Ivey’s grandfather taught him how to play five card stud poker. With lots of practice he soon became quite good at it. Up till high school, this was the only variant of poker he knew. However, after graduating from high school, he began to expand his skill set. He soon joined a telemarketing firm based in New Jersey. There he would often play poker with his other colleagues. His game strategy improved dramatically after this. However, at the age of 20, when he went pro he realized he was still no match for the more seasoned players such as Barry Greenstein and Daniel Negreanu, who believed him to be any easy opponent because of his habit of paying too loose and playing too many hands. However, as time is witness, Phil Ivey soon worked on his weaknesses and managed to master each of them. After a rocky start in his poker career, Phil Ivey soon turned the tides in his favor. Pretty soon the chips started stacking up on his side of the table and he managed to rake in handsome winnings on numerous occasions, all of which have made a hefty contribution in the substantial Phil Ivey net worth. Over the years, the resourceful poker player has earned himself a much deserved reputation as an aggressive poker player who plays to win every single time. And more often than not, he is successful in his endeavors. This is apparent from the many awards, glories, and titles he has managed to win. These include the much covered World Series of Poker bracelets which he won not once, but ten times. This makes him the record holder for both the number of the WSOP bracelets won by one person, as well as for being the youngest player to have won all these bracelets. He has also had a marvelous run in many World Poker Tours. He managed to make it to the final table in nine of the World Poker Tour events, and in one he managed to win the title too. These are only some of the many awards and championships won by Phil Ivey. Considering all this, it is no wonder that the Phil Ivey net worth has steadily gone up throughout his poker career. His superior poker skills, along with an insane amount of luck and aggression has helped him make a big name for himself in his poker career. Since 2000, when the tables started to turn in his favor and he started giving a tough time to every opponent, there has been no turning back. Barring one incident of edge sorting in 2012 and the ensuing legal actions, his poker career has been a series of successes and high points. Phil Ivey’s poker career expands to both the live poker and the online poker arenas. In each of these, he has proven his skill and mettle, and has earned himself the rightful reputation as a player to be treated with respect and reverence. He has an uncanny ability to confuse his opponents by staring at them directly in the eyes. This unorthodox strategy enables him to read his opponents while giving nothing away to them. This strategy has allowed him to score a great edge in every game he plays. When it comes to awards and achievements that Phil Ivey has managed to get his name on, the list isn’t a small one. The 10 WSOP bracelets and the World Poker Tour title are only some of them. More notable titles include the Poker Player of the Year 2005 and 2009. Other high stake wins and notable achievements of Phil Ivey’s poker career are mentioned in the table below. According to a tracking system employed by the HighStakeDB, Phil Ivey happened to have a net worth of over 100 million USD. He is also on top of the list of the biggest winners in poker of all time. His total profits at cash games come up to 19,242,744 USD after 319285 played hands. Phil Ivey happens to be rank 5th in the list of poker players with the most winnings in live tournaments. Collectively, he has managed to accumulate more than 23,100,000 USD in various tournaments, all of which have contribute significantly towards the Phil Ivey net worth. Details of some of his winnings are tabulated below. Ivey managed to win the first prize, which amounted to $1,000,000, at the Monte Carlo Millions. The next day, he ended up first at the FullTiltPoker.Net Invitational Liv, at the same event, which increases the Phil Ivey net worth by another $600,000. In 2007, at the NBC’s Poker After Dark’s event winner-take-all “Earphones Please” tournament Ivey earned a winnings of $120,000. In 2009, Phil Ivey beat Patrik Antonius at the Aussie Millions and ended up winning AU $2,000,000. In Feb 2014, Ivey cashed in AU $4,000,000 at the Aussie Millions LK Boutique $250000 Challenge. This was the largest winnings he had won in a single cash game in his entire career. During the Aussie Millions $250000 Challenge, he again won and cashed in AU $2,205,000. During the Philippines edition of the World Poker Tour National in 2016, Ivey secured the 5th position. This helped him earn winnings of 656,500 USD. Finally, as of 2011, Phil Ivey ranked at the top of the list of players with the most online cash game winnings. In just 4 years (2007 – 2011), Ivey has netted a total winnings of 19,242,743 USD just by playing Full Tilt Poker cash games. However, after 2011, the Phil Ivey net worth took a serious plunge. He lost more than 12,000,000 in the following 3 years i.e. 2012 – 2015. 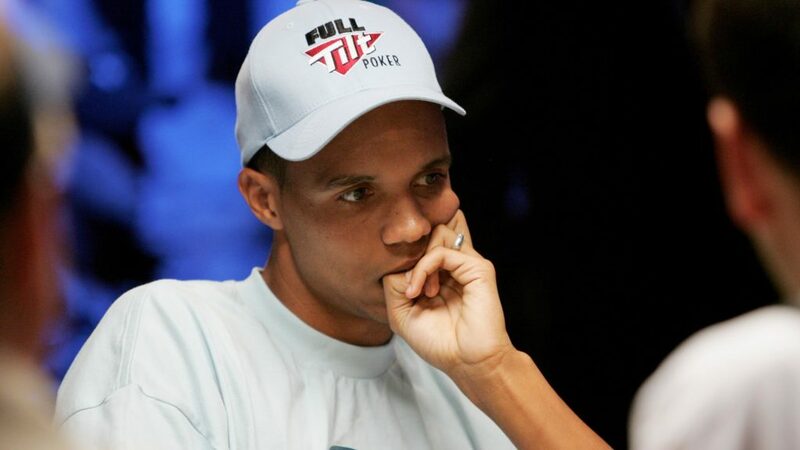 Another significant contribution to the Phil Ivey net worth was made by a sponsorship deal with Full Tilt Poker whereby he earned 920,000 USD in exchange for his collaboration. Phil Ivey has managed to make waves in the world of poker and gambling for more than one and a half decade. He frequently participates in ‘the Big Game’ at the Bellagio casino is Las Vegas which falls in the 4000- 8000 USD range. Moreover, Phil Ivey was a prominent player in a team of professionals who specialize in high stakes games. This group of players collectively refer to themselves as ‘The Corporation’ who put together their bankrolls to challenge the mathematics genius and billionaire from the United States, Andy Beal at a heads up game of Limit Hold’em. Ivey played an instrumental role in helping The Corporation win 16.6 million USD from Andy Beal. Additionally, it has also been rumored that Ivey has managed to rake in handsome amounts of money from different Chinese businessmen in high stakes games conducted since 2010 in Macau. In the last couple of years, Phil Ivey has not been as active in poker circles as he was before. Apart from a cameo in the 2016 edition of the World series of Poker, not much has been heard of him. In fact, he didn’t even participate in the 2017 WSOP event. However, as of October 2017, Phil Ivey announced his return very soon in the world of poker. It can be safely assumed that we can expect big things from him once again, upon his return. Phil Ivey was involved in a high profile litigation in 2012. The case materialized after the poker player played a game similar to Baccarat, namely Punto Bacao. Ivey played it at the Crockfords Casino’s Mayfair Club in London for two nights straight. After the two days, ended up accumulating a total winning of 12 million USD. However, the casino refused to pay Ivey the winnings. As a result, Ivey sued the casino. The casino, in turn, responded that Ivey had used trickery to win the games. Ivey admitted to that, saying that he had merely asked the dealer to turn the cards at an angle of 180 degrees while dealing. This allowed him to exploit the asymmetrical difference in the pattern of the cards. Ivey claimed that this was the fault of the casino and not deceit on his part. This was because the casino should not have used such flawed cards or that the dealer complied with his request to rotate the cards. Ivey ended up losing the case, but he went to the appeal the ruling in the UK Supreme Court, the highest judiciary authority in the United Kingdom. However, even there he was unsuccessful, and the Court decided that Ivey’s actions really were deceitful and would be considered as a form of cheating. This ruling was passed in late 2017. Following the edge- sorting case in 2012, Phil Ivey was also involved in a similar case in 2014. The Borgata Hotel Casino and Spa in Atlantic City sued Ivey for 9.6 million USD, claiming that the player had used his edge sorting technique and had exploited the manufacturing laws of the playing card’s over the course of four separate sessions since 2012. As a teenager he was given the nickname of ‘No Home Jerome’ because of his fake ID, which he used to play in the Atlantic City in New Jersey. His second common nickname is ‘The Phenom’. This nickname was earned after winning his third World Series of Poker bracelet. His third, and most popular nickname is the ‘Tiger Woods of Poker’. This is a very clear reflection of the legendary status he holds in the world of poker. Other ventures of Phil Ivey included the founding of two companies. Both of thee are poker based companies. They are named ‘Ivey Poker’ and ‘Ivey League’, respectively. In Ivey Poker, poker players from all the world can download the app to play poker against the professional poker players like Ivey himself and other prominent players. This app was launched in 2012 and since then has remained highly popular among fans of poker. Ivey League, on the other hand was launched in 2014. It is website providing training to aspiring poker players about the different strategies to use, different game plays, and much more. The website makes use of the expertise and knowledge of 30 different professional coaches such as Patrik Antonius, Cole South, and Chris Kruk, all of whom are active on the website and provide training to the users. Apart from these two ventures, Phil Ivey has also made an appearance in an advertisement for the 2015 Chrysler 300. Phil Ivey is also a philanthropist and supports several charity causes. This trait, along with his preference to stay away from media sets him apart from many other high profile poker players. Despite his fame, there have only been a handful of interviews conducted of the player, and his appearance on media is also quite limited. As far as his charity works are concerned, Ivey has donated a sum of 50,000 USD in 2008 to the campaign, Empowered 2 Excel. The organization behind this campaign aims to support and provide opportunities to those children who come from an underprivileged background. Moreover, he has worked in collaboration with his mother to establish the Budding Ivey Foundation, which aims to honor the memory of Phil Ivey’s late grandfather, who was also the first person to teach Ivey how to play poker. But on top of this, he also taught Ivey that just one person can make a difference I the word for the better. With this organization, Ivey is proving the authenticity of his grandfather’s words. The foundation supports and sponsors underprivileged children in the United States, by helping them out with their financial needs, helping them access quality education, and other requirements. For example, the foundation provides scholarships for needy students to pursue higher education, and they also support the ‘Spread the Word: Nevada’s Story Book Gala’ campaigns heavily. This campaign helps children access books and helps improve the literacy of children. His other charity works also revolve around improving literacy and providing support and food to the homeless. At another charity poker tournament in 2008, Ivey helped raise 260,000 USD which were also later given to the campaign, Empowered 2 Excel.